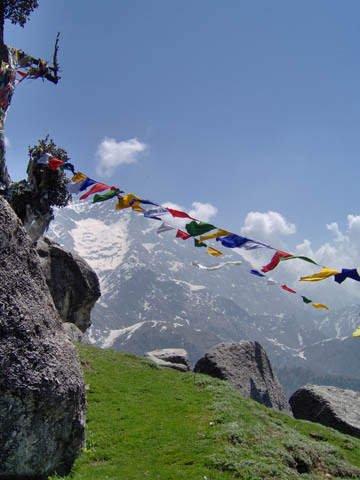 Tibetan prayer flags flying from a mountain top. Sponsorship helps Tibetan children attend school and assists Tibetan refugees with food and essentials. It is a perilous route for Tibetans to gain entrance to India. Night after night they crawled on their bellies, each inch a little closer to safety. Once in the snowy mountains, they walked by day, fearful of falling off cliffs in the dark. But at night the children cried bitterly from the cold and some people lost toes. On those frigid peaks people just disappeared and were never seen again. Liesel and Rosemarie with a Tibetan refugee family that had recently escaped to India. Once in India, the work of building a life begins. But the path forward is unclear and the future very uncertain. Every day refugees arrive in India and struggle to build new lives from nothing. 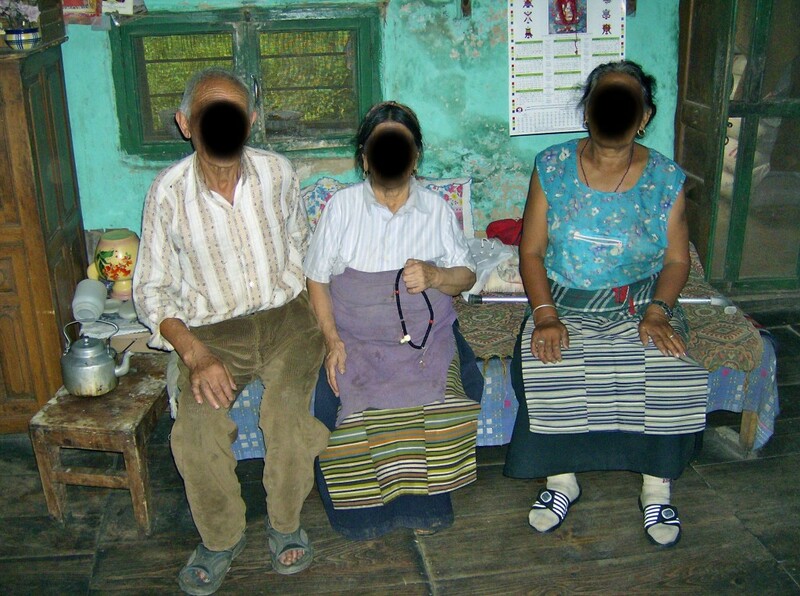 Tibetan refugee elders in India are grateful for sponsor assistance.